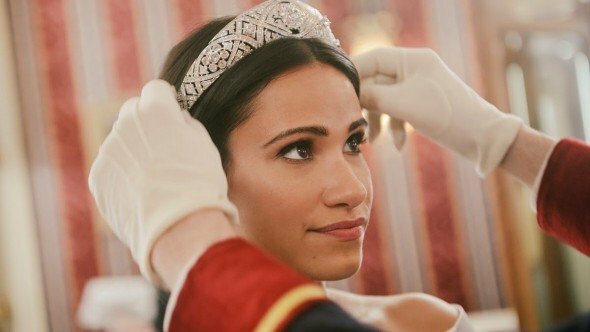 Lifetime TV finally releases 'Harry & Meghan: Becoming Royal's trailer. Fans of Meghan Markle and the British Royal family can finally get to watch the highly anticipated trailer for the new Royal film titled 'Harry & Meghan: Becoming Royal'. Lifetime TV released the trailer on their official Twitter handle on 3rd April prior to the confirmation last month that the film will be airing next month in May. 'Harry & Meghan: Becoming Royal' is a sequel to 'Harry & Meghan: A Royal Romance', the first installment of the film the channel premiered last year in May shortly before the fairytale wedding of Markle with Prince Harry, the Duke of Sussex. Tiffany Smith as Meghan Markle for 'Harry & Meghan: Becoming Royal'. As 'Harry & Meghan: A Royal Romance' showcased the romance and beginning relationship stage of Harry and Meghan, 'Harry & Meghan: Becoming Royal' continues the narrative of the first film right from where it dropped off. Smith is then also seen kissing Prince Harry played by Charlie Field and defending herself from critiques and mean remarks that called her out as a hypocrite. In addition, the film's screenwriter, Scarlett Lacey previously admitted that the film will also involve the family feud, the royal wedding and the relationship of Markle with sister in law, Kate Middleton. As a matter of fact, the movie will also cover the high profile celebrities guests attendance including Oprah Winfrey, Victoria Beckham, Idris Elba, George and Amal Clooney at the Royal wedding. 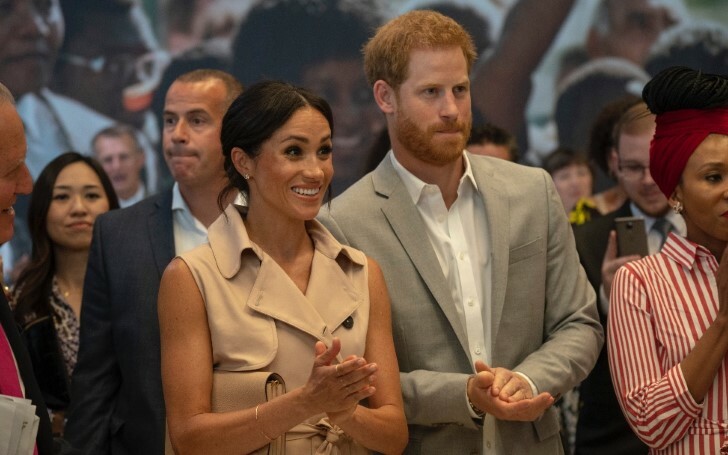 Likewise, the channel also previously revealed in a press release that the movie will continue showing Harry and Meghan "pulling back the curtain to reveal the untold joys of challenges of life inside the royal family during their pivotal first year of marriage. Beyond blending their families and cultures, Harry and Meghan’s core values are put to the test as they try to find the balance between honoring Royal tradition and staying true to their beliefs." Besides, Smith and Field, the rest of the casts of the movie includes Laura Mitchell as Kate Middleton, Jordan Whalen as Prince William, Timothy Temple as Prince Philip, Maggie Sullivan as Queen Elizabeth II, Deborah Ramsay as Camilla Bowles, Charles Shaughnessy as Prince Charles, James Dreyfus as Leonard, Bonnie Soper as Diana, and Natalie Moon as Layla. Tiffany and Charlie replaced Parisa Fitz-Henley and Murray Fraser who previously portrayed the role of Meghan and Harry in the first part of the film. 'Harry & Meghan: Becoming Royal' produced by Merideth Finn and directed by Menhai Huda will premiere on Lifetime on 27th May.